TuffStuff offers the Dual Adjustable Pulley System (DAP-955) as an optional attachment to the XPT-900 Sport Self Spotting Power Cage. The DAP-955 system includes two adjustable high/low pulleys with two 150 lbs. 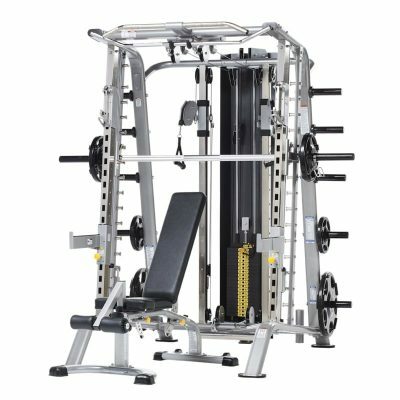 weight stacks, a fixed high pulley station, pull-up station and an accessories rack that combine to enable over 30 different exercises. 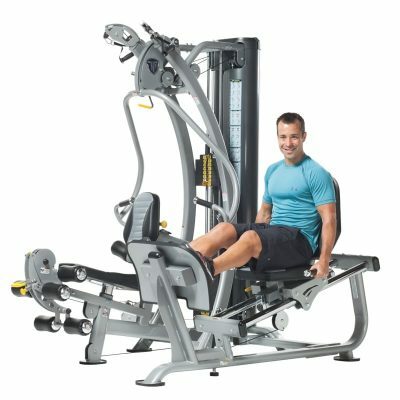 Combining TuffStuff’s XPT-900 Sport Self Spotting Power Cage and the optional Dual Adjustable Pulley Attachment (DAP-955), creates the ultimate strength training machine. 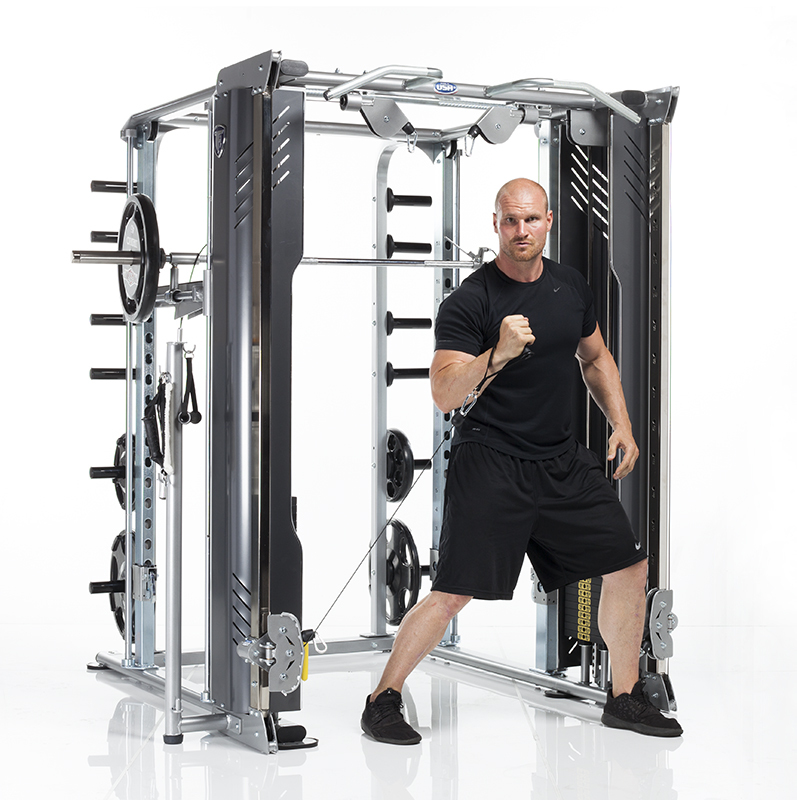 The XPT-900 is the fitness industry’s first and only “self-spotting, free-weight training system” allowing vertical, horizontal, diagonal, lateral and rotational bar movement. 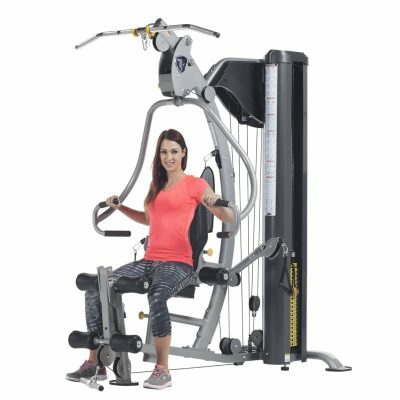 Adding the optional dual adjustable high/low pulley system and fixed high pulley attachment enables users to perform over 30 exercises! The XPT-900 Sport Self Spotting Power Cage (MSRP: $3799.00) was designed and developed in collaboration by Brady Poppinga (NFL Veteran & 2010 Super Bowl Champion). With unlimited barbell motion, the XPT-900 eliminates the need to purchase expensive bumper plates for explosive training. Safely perform conventional lifts, Olympic lifts, traditional and functional movements, and explosive/competitive movements. 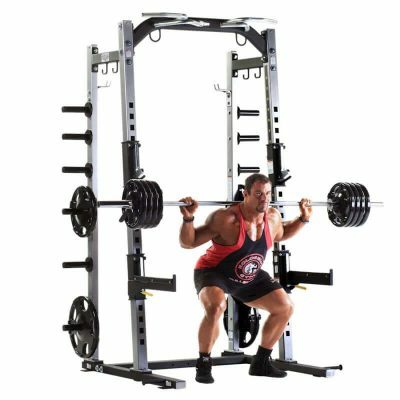 The XPT-900 Sport incorporates a built-in 1-inch knurled zinc plated pull-up bar, Olympic weight plate storage holders, and 18 bar positions to accommodate any starting height. TuffStuff’s optional dual adjustable High/Low Pulley system (MSRP: $3,198.00) includes two adjustable high/low pulleys with two 150 lbs. weight stacks, a fixed high pulley station, a pull-up station and an accessories rack. 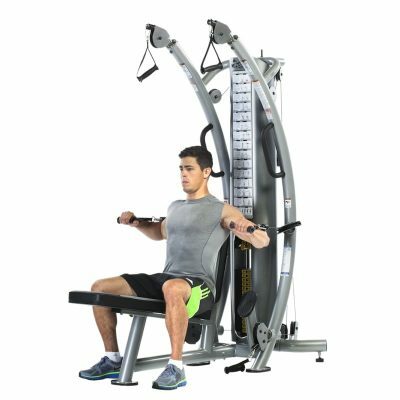 The DAP-955 features solid steel weight plates with self aligning low friction sleeves for smooth movement; empowering users to perform over 30 different exercises. 11-gauge oval and rectangular tubular steel frames with a combination of round tubing. All welded construction by inert-gas welding. Includes two (2) 150 lbs. solid steel weight stacks with self-aligning low friction free sleeves. 3/4” solid steel hard chrome finish guide rods. 1/2” push-pull spring loaded solid steel adjustment pins. 4-1/2” and 3-1/2” fiberglass-impregnated nylon pulleys with sealed roller bearings.